An outside-the-waistband (OWB) holster meets the requirements of handgun users who could find themselves in fast-draw situations. 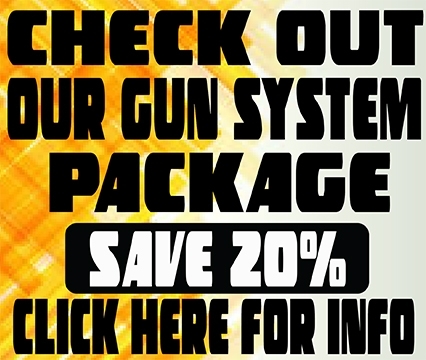 It allows you to access your weapon quickly, which could make the difference between life and death. 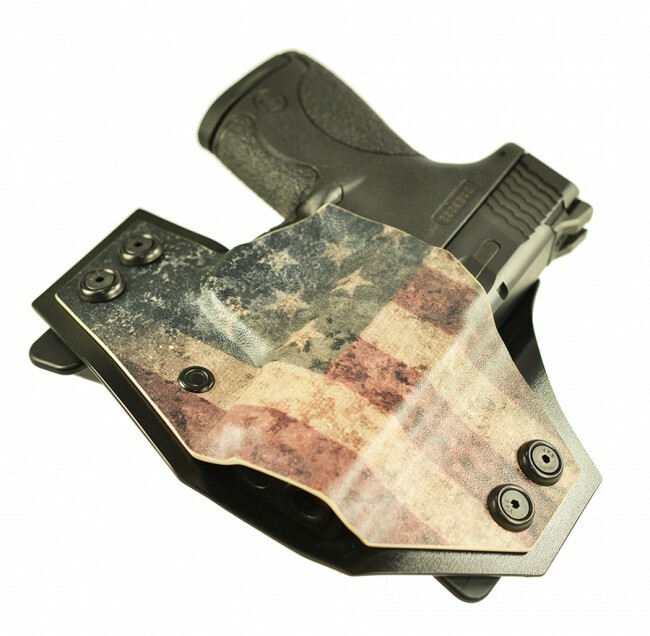 High Noon Holsters is pleased to offer the American Patriot — a reliable, extreme-duty OWB holster expertly crafted from durable Kydex® material. The Patriot is a version of the Perimeter but with our American Flag displayed proudly. The Patriot is a low-profile Extreme Duty OWB featuring a slim pancake design for minimal printing. Injection molded belt loops add comfort and reliability as well as close to the body contouring. The Perimeter design highlights its black perimeter design to accent the American Flag. Custom made and virtually maintenance-free Kydex®, Perimeter is fast to the draw, thin and easy to conceal. The smooth low friction surface allows for a fast draw and easy one-handed re-holstering of your firearm. 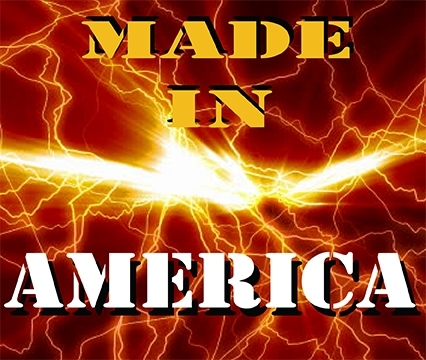 The Patriot Kydex holster is proudly handmade in the U.S.A.! Keep in mind that a Kydex® gun holster is only part of the system. A high-quality gun belt is a must when you consider wearing your OWB holster. At High Noon Holsters, we understand that no two handgun owners are alike. 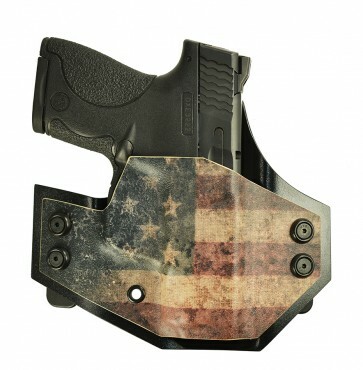 Our American Patriot holster gives you multiple opportunities for customization. Choose a holster design with a straight drop or forward cant, or add extra belt loops to adjust the fit to meet your preferences. 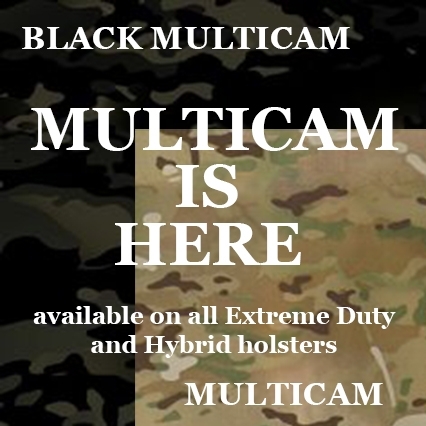 We can also make the holster to fit various weapon models from top manufacturers such as Ruger, Sig-Sauer, Browning, Springfield Armory and Glock. High Noon Holsters has been producing cutting-edge holsters, belts, magazine carriers and related products for more than 20 years. Our commitment to quality and craftsmanship sets us apart from our competitors. We also strive to achieve the total satisfaction of every customer. If you're not happy with your item for any reason, we'll do whatever it takes to rectify the issue. Our newly redesigned e-commerce site makes ordering American Patriot holsters and our other products faster and easier than ever. You'll be able to build your wish list in no time and complete your transaction seamlessly using your preferred payment method. Available options include MasterCard, American Express, Discover, Visa and PayPal. American Patriot holsters are not stock items, which means it requires additional time to craft them to your specifications. However, if you want your holster in a hurry, we offer a rush shipping service that can allow you to receive it in as little as 7-10 days. Order Your American Patriot Holster Right Now! Experience the many advantages that come with American Patriot holster ownership. 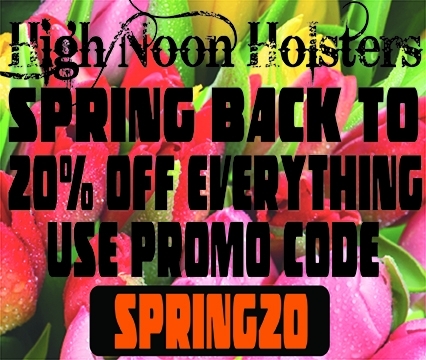 Order yours from High Noon Holsters today! And feel free to contact us by phone or email if you have questions or need assistance.